By now, if you're in to makeup in anyway you've most likely heard about NARS' latest controversial move. 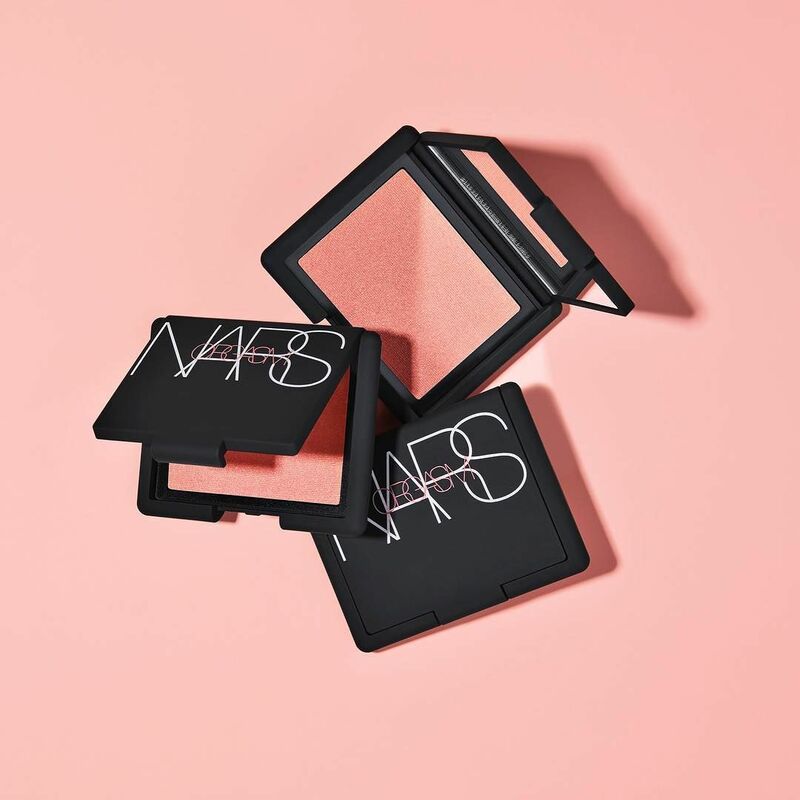 Recently NARS made the decision to start selling their products in China, but this has been meet with a plethora of criticism from angry consumers. Just hop over to their Instagram page and check out the comments and you'll see what I mean. Making the move to sell in China might not seem like a big deal on the surface, but when you learn that, by law, China requires animal testing for makeup and skincare products before they will be approved for sale, suddenly the story takes on a whole new persona, and not a good one. "WE WANT YOU TO KNOW THAT WE HEAR YOU. THE GLOBAL ELIMINATION OF ANIMAL TESTING NEEDS TO HAPPEN. WE FIRMLY BELIEVE THAT PRODUCT AND INGREDIENT SAFETY CAN BE PROVEN BY NON-ANIMAL METHODS, BUT WE MUST COMPLY WITH THE LOCAL LAWS OF THE MARKETS IN WHICH WE OPERATE, INCLUDING IN CHINA. WE HAVE DECIDED TO MAKE NARS AVAILABLE IN CHINA BECAUSE WE FEEL IT IS IMPORTANT TO BRING OUR VISION OF BEAUTY AND ARTISTRY TO FANS IN THE REGION. NARS DOES NOT TEST ON ANIMALS OR ASK OTHERS TO DO SO ON OUR BEHALF, EXCEPT WHERE REQUIRED BY LAW. NARS IS COMMITTED AND ACTIVELY WORKING TO ADVANCE ALTERNATIVE TESTING METHODS. WE ARE PROUD TO SUPPORT THE INSTITUTE FOR IN VITRO SCIENCES (IIVS), A GLOBALLY RECOGNIZED ORGANIZATION AT THE FOREFRONT OF ADVANCING NON-ANIMAL METHODS IN CHINA AND AROUND THE WORLD. NARS IS HOPEFUL THAT TOGETHER, WE CAN WORK TOWARD A CRUELTY-FREE WORLD." While the cosmetic and skincare world seems to be taking great leaps and bounds in a positive direction to help our furry friends, is this a massive step backwards? Maybe. I've been reading a lot of the comments and discussion on this post, and I have to say I agree with a lot of what is being said and I'm extremely disappointed in the brand for choosing to make this move. I think that most of the beauty industry are making really positive moves when it comes to helping creating a world where our beauty products aren't sold as a result of suffering and innocent creatures, and it's a shame China is yet to get on board. 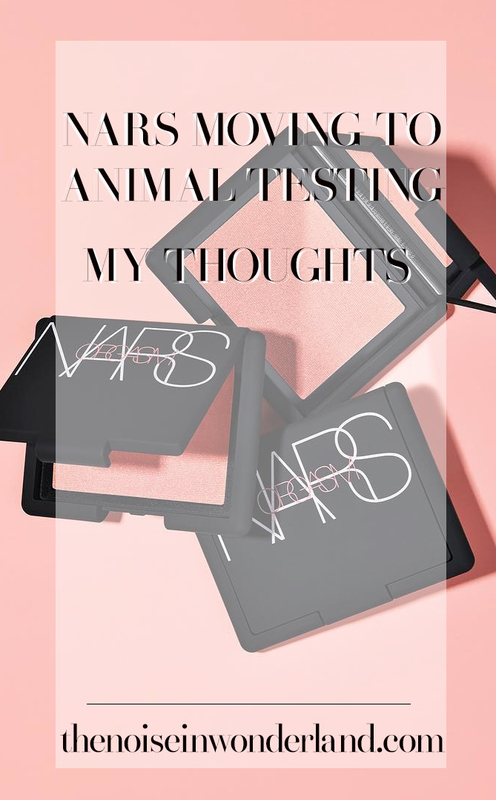 In their post, NARS claim they are still completely for eliminating animal testing and are supporting the cause in other ways, yet it seems completely contradictory to then choose to sell products in a country that would mean your brand has to completely go against that cause. As many mentioned, the better way to tackle this issue would be to not sell in China; if more brands are refusing to sell in China because of these ridiculous laws, then maybe it would put the pressure on to make a change. Instead, NARS are now feeding into the system and showing the Chinese government that brands will still compromise their supposed "values" and "ethics" if it means they get to sell their stuff and make a crap ton of money, so there's absolutely no incentive for China to worrying about touching that law. I've been a big NARS fan for ages; I love their products and their packaging and the entire brand always really appealed to my aesthetic. While I'm sure I own many makeup and skincare products that aren't cruelty free, I feel that knowing so openly that NARS doesn't fit into the cruetly-free category, seemingly only because they want to find another market and another avenue to bring in the big bucks, I don't think I can support them any longer. If, and hopefully when, either China's laws change or NARS chooses to pull it's products from their market, I would happily go back to buying their products, but for now, once the few I have are used up, I don't think I'll be buying from their beauty counter anytime soon, and I would encourage you to do the same. I'm not sure that I will feature them on this blog or my Instagram until the situation is rectified. There are PLENTY of brands out there to choose from and who are doing the right thing; it's time for us to give them our support. While there are plenty of brands out there who aren't yet cruelty-free, I think what makes this situation so bizarre and is causing so much outrage, is that NARS, despite this move, are trying to still stand by their cruelty-free stance, when they're actions seem to so clearer say otherwise; and as they say, actions speak louder and words. Some of the other beauty brands which are currently selling in China, and therefore have products that are tested on animals include Loreal, Shiseido, Estee Lauder and it seems NARS is now adding their name to that list. Noooo. They're going backwards and I hope they realise this before it's too late! Me to ! I really hope something changes in the future and I can go back to supporting them. TERRIBLE!! What are they thinking! Oh wow, I don't know what to think about this now. I love NARS, but this is making me rethink all of that :/ Thanks for sharing your thoughts!! I was such a fan to! but i dont think i can bring myself to buy they're stuff until they change this. Wow this is really disappointing to hear. I love Nars products, especially their eyeliner and blush. I think I will have to reconsider purchasing their products now. I was such a fan to! It's a shame when a brand who really do make good products go and make a silly decision like this. Hopefully something changes in the future and I can go back to loving their stuff. It's a tough one, but I think if a company is going to stand and say they are against animal testing, to me it seems basically hypocritical to them begin selling your products somewhere that would force you to go against what you stand for. I understand there probably is a lot of money to be made in the Chinese market, but I personally don't think any profit margin is worth the suffering of innocent creatures, especially these days when we are so aware of it and its harmful nature and coming from a brand that seem to against is once. I hope either on day China changes its laws or NARS pulls away from the market so I can support their brand again, but I won't be buying their stuff in the future. I think there are many other things NARS could do to stay competitive, if they even need to because they are already so massive. I feel the negative backlash could outweigh the benefit of entering the market but I guess only time will tell. Yeah, I think that's what makes this move even worse, that this was a brand that so openly spoke against animal testing, and are still trying to despite this move, but then make a decision like this. A brand who has never expressed concern for this issue would not cope as much backlash I don't think, even though I would still disapprove and not support. I just don't feel there is any reason to have such a gross practice anymore. So many other countries get by absolutely fine without animal testing, I don't see how China feels it is still necessary. Man, they just don't get it. You can't be on both sides of the fence when it comes to animal testing. Do they think their customers are stupid? What a slap in the face! i know right! You either are against it and don't allow it, or you're involved, you can't have something like that both ways.